There are few times that comic books / graphic novels have the power to move me to tears, but in the last week I have been greatly affected by 2 pieces of work from the 1980s. By nothing more than coincidence, they have as their central storyline the big themes – birth and death. Also, by coincidence, the names of the central characters are the subject of controversy, and although that controversy is beyond the scope of this article, I can recommend the links at the end of this post as further reading. Finally, a further similarity they share is the fact that both central characters have, at some point, had very similar names. The first comic moment I want to share with you regards a comic first, the graphic portrayal of a birth. This depiction of the safe arrival of Miraclemans daughter, Winter, in the acclaimed ‘Miracleman’ series, written by the acclaimed Northamptonian, Alan Moore, is unflinching in its honesty. Although there were several artists who worked on the title over several years, including the brilliant British artist Alan Davis, it was Rick Veitch who illustrated the infamous scenes of the childs birth. 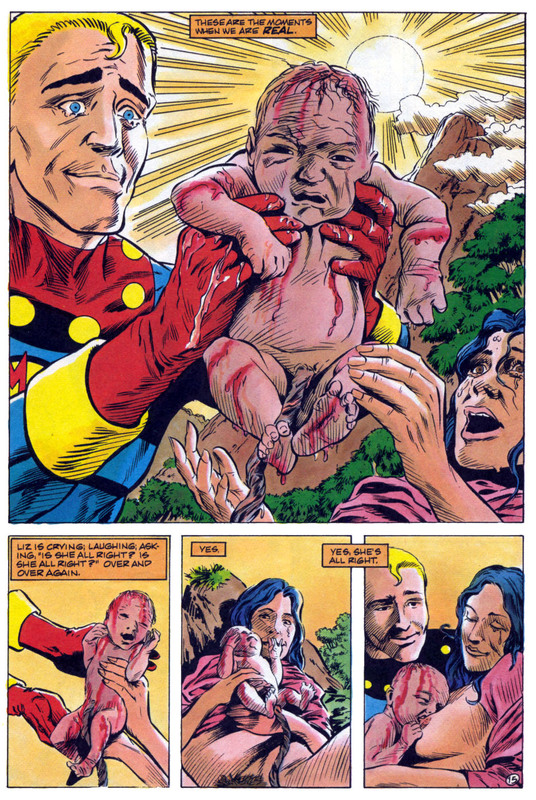 Although Veitch, in my opinion, was a less detailed and skilled artist than the likes of Davis, he really comes into his own with the simplicity and beauty of childbirth, with the panels containing the graphic scenes of the baby emerging from the womb being sympathetically aligned with the Mother and Fathers experience of labour. 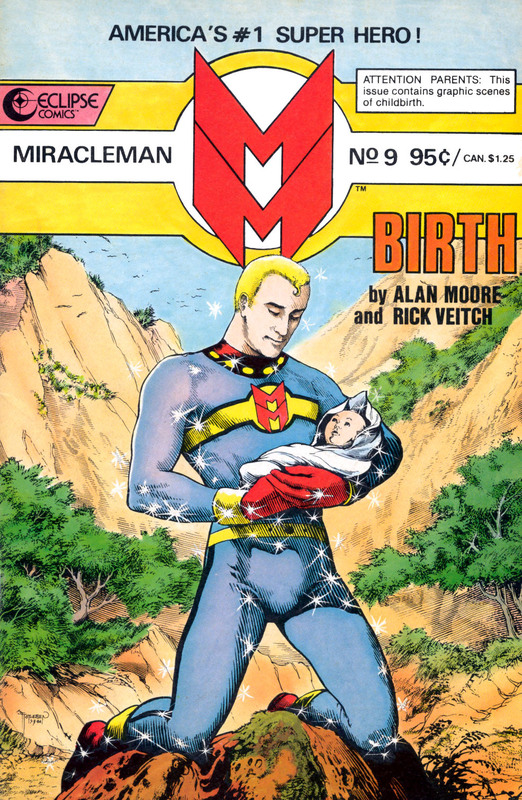 Both Mother and Father (aka Miracleman) are calm and in control, and the genuine sense of emotion, relief and triumph that Veitch conveys in his art perfectly captures a unique and intimate moment between the parents and the newborn. I shed a tear. I felt privy to a precious and intimate event.